We are living through a boom in autobiographical writing. Every half-famous celebrity, every politician, every sports hero-even the non-famous, nowadays, pour out pages and pages, Facebook post after Facebook post, about themselves. Literary theorists have noticed, as the genres of "creative nonfiction" and "life writing" have found their purchase in the academy. And of course psychologists have long been interested in self-disclosure. But where have the philosophers been? With this volume, Christopher Cowley brings them into the conversation. Cowley and his contributors show that while philosophers have seemed uninterested in autobiography, they have actually long been preoccupied with many of its conceptual elements, issues such as the nature of the self, the problems of interpretation and understanding, the paradoxes of self-deception, and the meaning and narrative structure of human life. But rarely have philosophers brought these together into an overarching question about what it means to tell one's life story or understand another's. Tackling these questions, the contributors explore the relationship between autobiography and literature; between story-telling, knowledge, and agency; and between the past and the present, along the way engaging such issues as autobiographical ethics and the duty of writing. The result bridges long-standing debates and illuminates fascinating new philosophical and literary issues. "In this enlightening work Cowley marries the disciplines of philosophy and literature. The essays discuss the 'I' of autobiography and of the fluid, fragmented postmodernist subject. There is the solitary self as proposed by Descartes and the self in relation to the other. 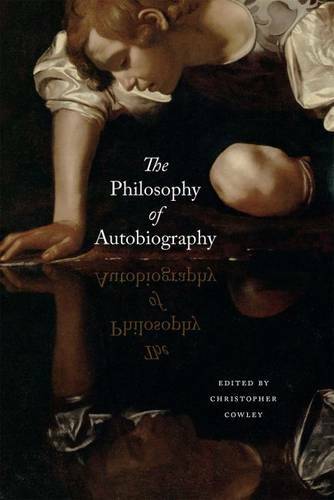 The contributors of the ten essays draw on authors who have paved the way in the field of autobiography--e.g. Jean-Jacques Rousseau, Philippe Lejeune, Sidonie Smith, Roland Barthes, and Serge Doubrovsky. One essay takes, as literary examples of autobiographical narrative, Marguerite Duras's Hiroshima mon amour. The inevitable lacuna between memory and narrative is mentioned; Sartre's definition for agency is articulated along with Beauvoir's feminine subject. Though it is not unusual for scholars to draw on philosophical theories to back literary criticism, this interdisciplinary work is unique in its ability to link philosophy and literature in terms of the self/other. This reviewer was surprised to find little mention of memoir as a comparable genre, but overall the collection is well written and well researched. . . . Recommended."